I first met Andy Warhol in the early 1960s at the "Factory" on East 47th Street, NYC, where he painted, interviewed, accepted visitors, and hangers-on. Andy often said, he believed he made it, when his paintings were in the permanent collection of that Museum. Sadly the painting was acquired after his death in 1987. Photo, right, Anna; opposite her Andy Warhol. Read my novel when Anna, a Marilyn Monroe double visits Warhol's first gallery opening in New York, exhibiting the Marilyn Monroe paintings. In 1962 Anna, the fictional character arrives in New York, and hopes to rekindle her friendship with her childhood playmate, Pop Artist, Andy Warhol, but ends in disaster. J.G. Rothberg writes a heart-wrenching novel with "Memoirs of a woman with Two Lovers," of love, intimacy, life spiraling quixotically, and an attempt to murder. Iconic 1962 video of Marilyn Monroe singing "Happy Birthday" to President John F. Kennedy. 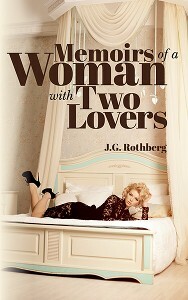 "Memoirs of a Woman With Two Lovers," is about Anna, a Marilyn Monroe doppelganger begins at this point. Anna soon moves to New York to rekindle a childhood friendship with Pop Artist Andy Warhol, but encounters disaster. My novel ends with an emotional bang, as Anna lay in a New York hospital, and President Kennedy is murdered in Dallas. I'm J.G. Rothberg, and I've got lots to tell you. My new historical novel, "Memoirs of a Woman with Two Lovers," will satisfy the appetites of those who desire to read about the changing American Culture of the 1960s. 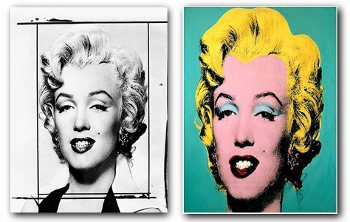 I follow one woman, Anna as she winds her way through the world of Pop Art, celebrity, and political icons. "Memoirs of a Woman with Two Lovers" sums up the conflicting emotions of the time, bringing together its idealism and its darker side. You especially won't want to miss how it ends! Anna arrives in New York, hoping to rekindle her childhood friendship with Pop Artist Andy Warhol. She soon becomes a Marilyn Monroe doppelganger, but fears for her life when she learns of the rumors of an alleged love affair between Monroe, and President John F. Kennedy. In this period novel, Anna befriends two men, Nick and Ethan, both connected with the art world. Her obsession with Marilyn Monroe leads her to undertake a complete makeover in the hands of Tweetie, a clairvoyant, palm reading, hairdresser. With forays into music clubs in Greenwich Village with both her lovers, to taverns, and to watering holes, Anna elicits stares, and whistles as a Monroe doppelganger. At a Taylor Mead poetry reading, a transvestite grabs her crotch, and is surprised she is the real thing: a woman. You may also remember me from Circus Magazine, America's cutting-edge weekly that covered the rock 'n roll industry over four amazing decades. I was the founding publisher and editor of Circus Magazine here in New York City, where many fantastic music journalists got thei6r starts. The magazine reached a lot of teenager readers, and young adults in those days with some of the best rock journalism ever produced.